Instagram recently shared the news of a new Instagram profile update with developers and Instagram scheduling tools privately. This new Instagram profile update will affect everyone who uses an app or desktop tool to create content and schedule content to post to Instagram, so it’s really important for you to know about it! Keep on reading to find out what this Instagram update is, and what it means for the future of your account. As of 11th December 2018, you will no longer be able to use any Instagram scheduling tool with a personal Instagram account. IMPORTANT: You will only be able to use Instagram Scheduling tools with a correctly set-up Instagram Business Profile and Facebook Business Page. This change has come about due to Facebook (and Instagram) upgrading their security measures and privacy policies since the Cambridge Analytica issue earlier this year. PRO TIP: After setting up your business profile and business page you will be able to unpublish your Facebook business page if you’d rather not have another social media account to manage! There are plenty of benefits for switching to an Instagram business profile, with the biggest one in our eyes now being the ability to schedule your Instagram posts using apps like Plann. If you switch to an Instagram business profile you’ll also be able to set up Instagram advertisements right inside the app, and when you reach the 10,000 followers milestone you’ll get the ‘swipe up’ feature. Wahoo! PSSST -> Want to know how to mute an Instagram profile that you are following? Plann Desktop Update – Launching Soon! 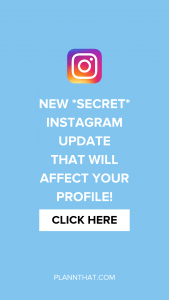 We’re really lucky here at Plann that when the news broke about this secret Instagram update we were in the process of setting up our Plann desktop version for launch. While the change has slowed us down a bit, being able to re-work our login systems before launch will mean that when you login to Plann desktop for the first time, everything will be peachy perfect! The new Plann desktop version for easy Instagram planning, styling and scheduling will be available really soon. To be the first to get access you can sign up to our desktop waitlist. Once you make the switch to an Instagram business profile you’ll be able to continue on using Instagram scheduling and strategy tools like Plann to grow your brand. But what else should you do? What other things can you do to make sure that you are increasing website visits and generally winning at life? 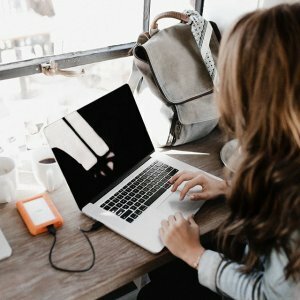 Check out this blog for our best tips to grow your Instagram business profile.